If you’re traveling on a transcontinental level, wouldn’t it be so much easier for you to go aboard a private Bombardier Global 6000? With this state-of-the-art jet, you’ll no longer need to wait on lounges for connecting flights. You won’t even be at risk of getting canceled in the middle of your routes. All you’ll have to do is hop on the jet and let it take you to the farthest possible destination within just one go. If you’re coming from Toronto, Canada, the Bombardier Global 6000 lets you reach as far as Beijing, China or Tokyo, Japan. Its interiors even let you have a well-rested trip. For instance, the cabin has a flexible space where seats may be laid out depending on the operator’s initial preferences. Each passenger seat may be reclined plus it has a pull out table right below the window. This table allows for you to relish your meals, plus it can even be used as a workstation. 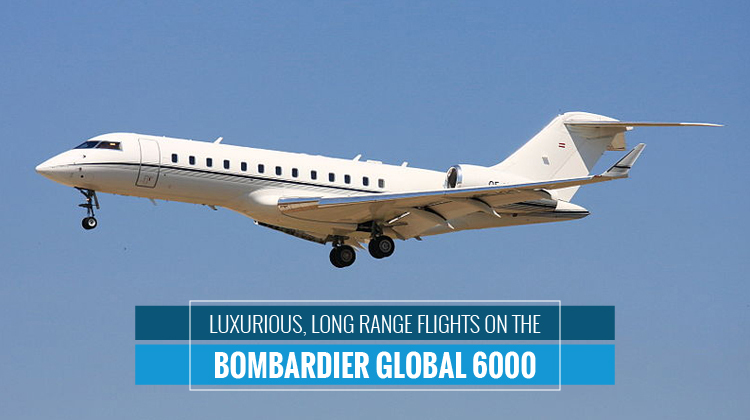 Know more about the Bombardier Global 6000’s specifications and for long range trips, be sure to charter a private flight aboard the aircraft today. The private Bombardier Global 6000’s facilities and VIP service ensure you’ll have a relaxing flight within the next 8 hours of your trip. Upon stepping on board the aircraft, you’ll see the cockpit on your left and galley on your right. The galley includes all the small appliances and supplies needed for you to relish your sumptuous meals. Some of the items it may have include a microwave oven, coffee maker and fridge. It even has compartments to function as pantries and organizers for your cutlery. As you continue to walk towards the cabin, you’ll find how the plane’s interiors have comfy chairs which can be reclined. Each chair will also have its own, in-flight entertainment system. The plane also has WiFi so you can opt to stay constantly connected with friends, loved ones and professional networks throughout the trip. Did you know some of the planes even have new Cabin Management Systems? These ensure you’ll have an intuitive system for you to access your latest television shows and even adjust your seat’s light settings. Compared to most internationally operated jets, the Bombardier Global 6000 has quite a competitive speed. This feature makes sure you won’t have an overly lengthy, international trip. Powered by Rolls-Royce turbo fan engines, this wide ranged plane has a sturdy glide you’ll feel like staying in an aviation-inspired hotel. If you’ll happen to max out the flying range of this jet, it’s always best to confirm your allowable load of passengers and luggage with the operator. Generally, a lighter aircraft leads to much farther destinations within much faster paces. 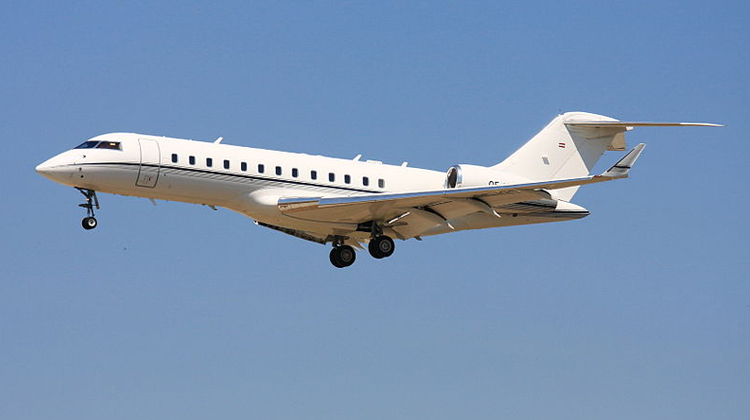 Manufactured by Canada’s Bombardier Aerospace, the Bombardier Global 6000 had its first flight in 1996. Roughly 600 units of this aircraft have been built and are being flown all around the world. Some of its major operators come from Germany, United Kingdom, Mexico, United States and the Philippines.